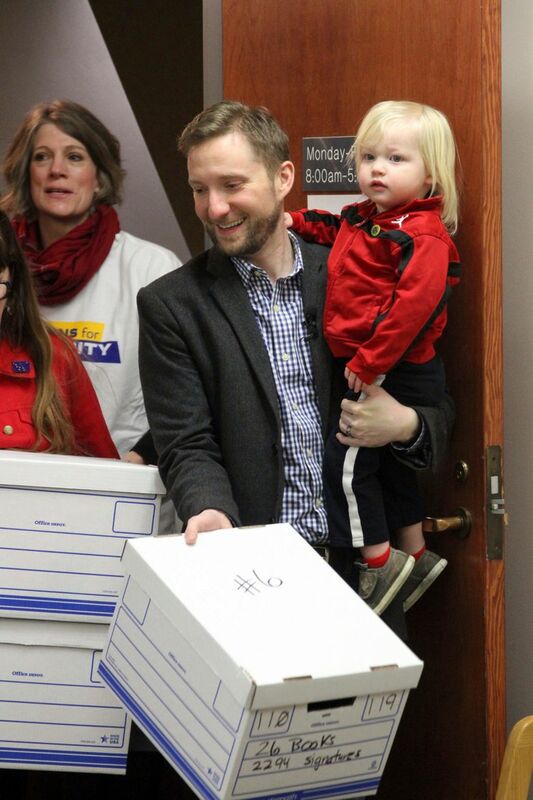 ANCHORAGE, Alaska (AP) — Organizers delivered more than 45,000 signatures on a proposed ballot initiative that would put financial and travel restrictions on Alaska legislators. 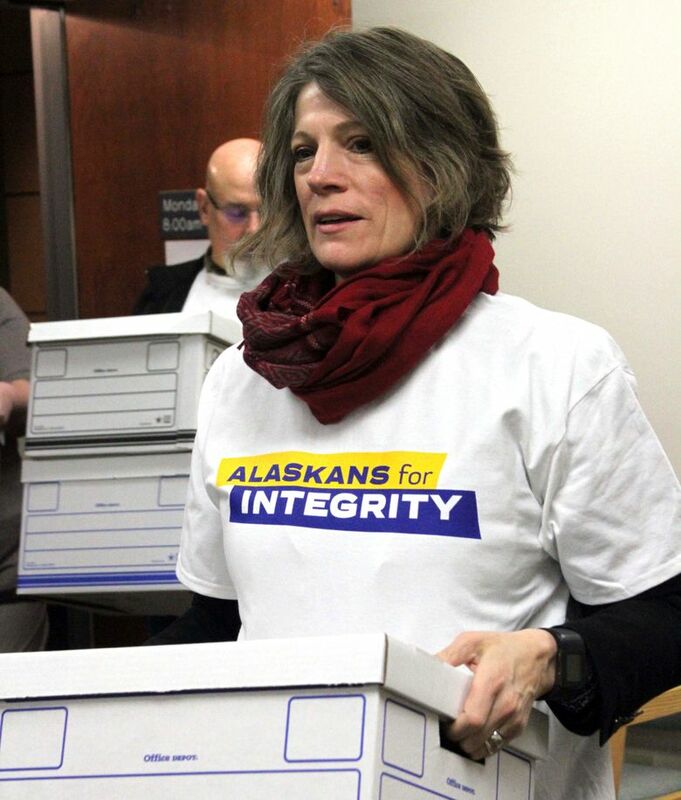 Nine boxes of signatures were presented to state election workers Friday in Anchorage. 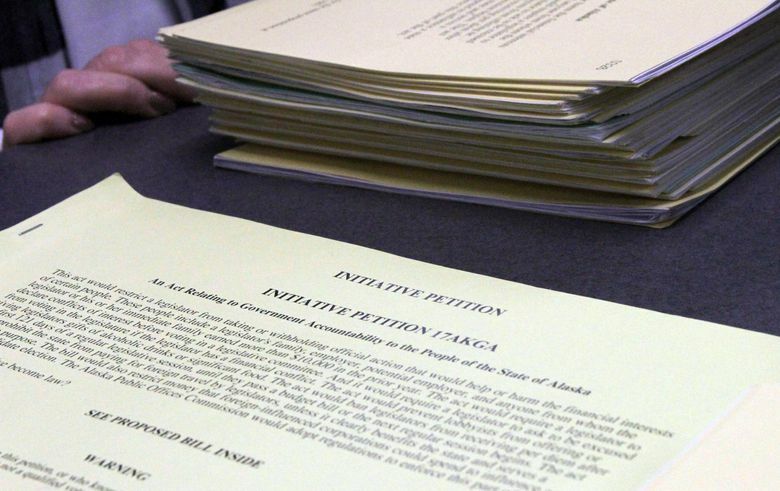 The proposed initiative from the group Alaskans for Integrity would cut off a daily allowance for Alaska legislators if they’re late in passing a state budget and restrict foreign travel by lawmakers. Other provisions relate to conflicts of interests and gifts from lobbyists. Reps. Jason Grenn and Jonathan Kreiss-Tomkins are listed as co-chairs along with Bonnie Jack, a Republican. Grenn, from Anchorage, is politically unaffiliated. Kreiss-Tomkins is a Sitka Democrat. 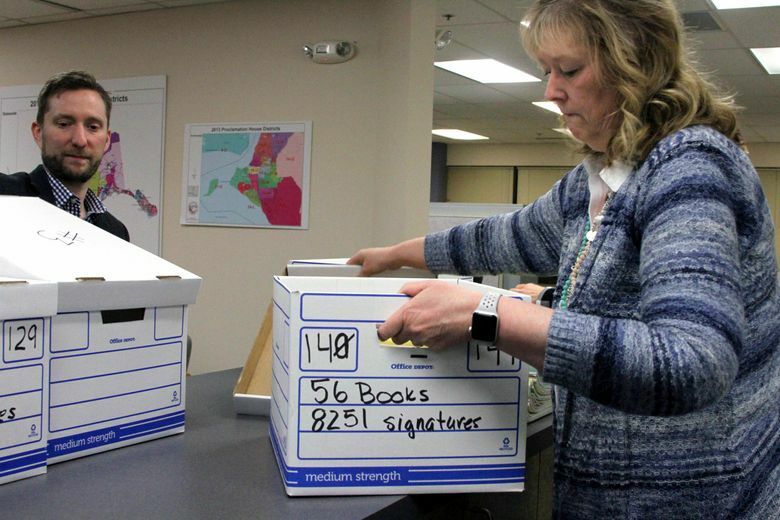 The signatures had to be submitted before Tuesday’s start of the legislative session to be eligible for this year’s ballot. The signatures now must be verified.